Wavesfactory are doing some very cool stuff both with plug-ins and their sample libaries. 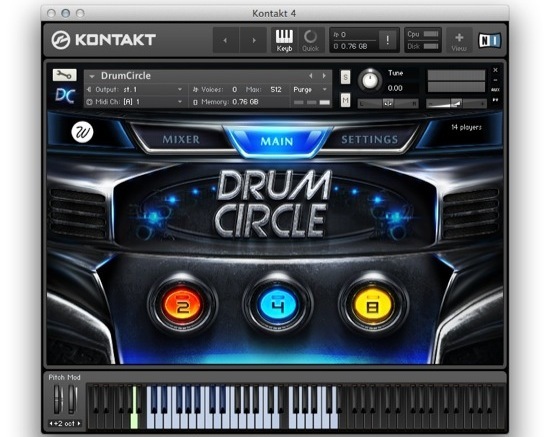 DrumCircle is a sample library for Kontakt that features 2, 4 and 8 drummers playing together in the same recording studio. 2, 4 and 8 drummers. 6x round robin and 6 velocities. Full control over each mic. Multioutput, remapping function and velocity curve control. For Kontakt 4.2.3 or superior. Kontakt player will run in demo mode for 15 minutes.